“Everyone from Garveys did a great service - from ordering, setting up, delivery and follow-up. Very nice representatives." The high value we place on outstanding customer service has led to a lot of kind words from many of our clients. Below are examples from the many letters and notes we receive. My wife and I are extremely pleased with the work Garvey’s did for us! The really do have the best installation guys in our area! Their installation specialist took the time to hand scribe the hardwood finished ends up against my cobble stone hearth on my fireplace! I couldn’t be happier! Love the carpet that we purchased from Garvey’s! It was installed to perfection, in a timely manner, and we had the nicest people working with us! Our saleswoman, Jill, took great care of us and saw to it that we were well taken care of through out the entire process. We would highly recommend our friends and family to Garvey’s, they’re more than just a flooring store! Our sales lady was very engaging and offered many excellent suggestions concerning our final end result! The installation was outstanding; we are thoroughly pleased with the end result! My husband and I previously bought carpet at another floor covering store and were not pleased at all with the whole sale and installation of the product, so we went to Garvey’s! The saleswoman at Garvey’s was incredible, she was very patient with my little 4 year old son and treated him with care, then she gave us great design ideas and finally helped us find the perfect carpet for us! Even better was the installation, they let my little boy watch all day as they installed, they were kind and respectful, and they were extremely respectful and kind to us! I will never go anywhere else for flooring again; I love my Garvey’s Carpet!!! My wife and I are extremely pleased with the hardwood and tile we bought at Garvey’s. There is no better flooring store in our area; the sales staff is very knowledgeable and very helpful. 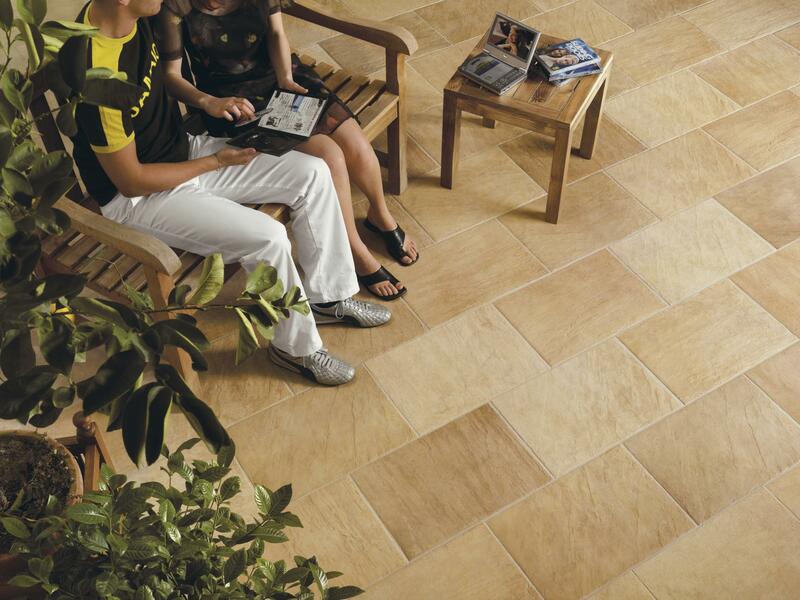 We would use and recommend Garvey’s Flooring America to everyone for all future projects! Garvey’s gave me a fabulous deal on my new carpet and tile! While in their store, they showed me a huge selection of products to choose from, and made recommendations based on my needs. I will definitely be going back to Garvey’s Flooring America for my next home makeover project, and I would recommend them to anyone! Garvey’s installed all the carpet and hardwood in my house when I built it 13 years ago. I recently decided to replace the carpet in the great room with hardwood. They were able to exactly match the color of the new hardwood with the color of the old hardwood and more important the quality of the workmanship is second to none.They did a fabulous job! Just wanted to drop a line and thank you for making one of our dreams come true. We wanted (and needed) new carpet for awhile but didn’t think it affordable at this time. With your sales and financing, you made it possible. Ron and John who installed it were great. They were experienced, hard-working, polite, and friendly. They took the extra time to make sure all of our seams in our doorways were done right. We just wanted to say thank you to you your crews for taking care of our seam problem in our carpet. It’s nice to know that there are still companies like yours that that still take pride in their products and workmanship. The Carpet looks great, my wife is happy and of course that makes me happy. Will we recommend your company to our friends and neighbors? You bet we will thanks again. This comes with sincere appreciation. Kudos to three area businesses who truly know how to treat customers right. In the last few months, each has gone out of their way at least once and in some cases several times, to treat me exceptionally well, even when it was not in their own best interest! They are: Schwartz’s Ultimate Collision, Danville; Spike Gillespie’s Signs, Bloomsburg; Garvey’s Carpet. Recently we purchased and had carpet installed from your store. We had the pleasure to have Cheri as our salesperson. What a gem! She was so helpful and knowledgeable, not to mention her pleasing manner. We recently invested in ceramic tile flooring and countertops from your company and are very pleased with the service. Everything is beautiful! Everyone was professional in their approach from Corinna who helped me with my selection, the office staff and the installers. It was a pleasure to work with them. The installers were there at the appointed time, they explained the procedure and most importantly, they cleaned everything up at the end of the day and left it as they had found it at the beginning of the day. We recently purchased vinyl floor covering for our kitchen with luan plywood underlayment. We are thoroughly pleased with the Mannington product. It was a pleasure working with Ann your sales lady. She is efficient, knowledgeable as well as patient and very helpful. Mr. Ines and Mrs. Farmer did our installation and did an excellent job. They are friendly, and courteous. 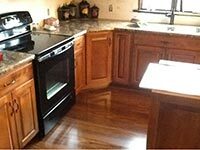 When they were finished, all debris was removed and the kitchen looked great. I am very pleased with your company, product and employees. I am now in the process of choosing bedroom carpeting and working with Ann. I have told all my friends about your place and the great job your people did installing. Your people deserve a pat on the back for a “job well done.” You have great people working for you, making it a great place to purchase flooring.